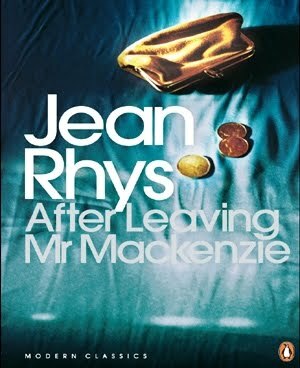 After Leaving Mr Mackenzie by Jean Rhys was one of the books on my Summer Reading Plan. I feel pretty good. It's October and I managed to read one of my five choices. I wasn't disappointed. After Leaving Mr Mackenzie addresses what it means to be lost and without those vital connections to others. Julia Martin has only one survival strategy. She enters into relationships with men. She accepts money from them, fooling herself that there is an emotional connection. The man senses her vulnerability and feels responsible for her. Eventually he tires of her and she enters into that desperate in-between phase when she finds herself alone and without resources. Julia is a Blanche Dubois type of character, dependent and vulnerable. Unfortunately for her, youth is no longer on her side. You feel a stab of pity for her when the man notices that she is not as young as he originally thought. Rhys wrote with a spare directness that reminds me quite a bit of Ernest Hemingway and of Jean Brodie in Muriel Spark's The Prime of Miss Jean Brodie.